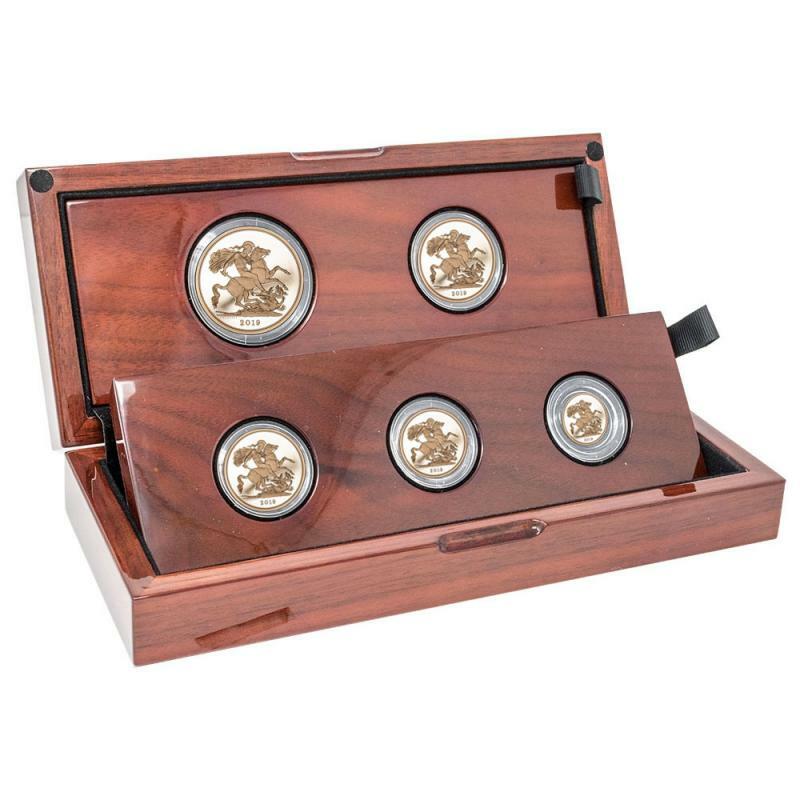 Included in this set is the Proof edition of the Gold Five Pound Coin, (Only available in gold proof coin sets) the Quarter Sovereign, Half Sovereign, Sovereign, and a Two Pound. The reverse displays Benedetto Pistrucci’s original George & the Dragon Design. 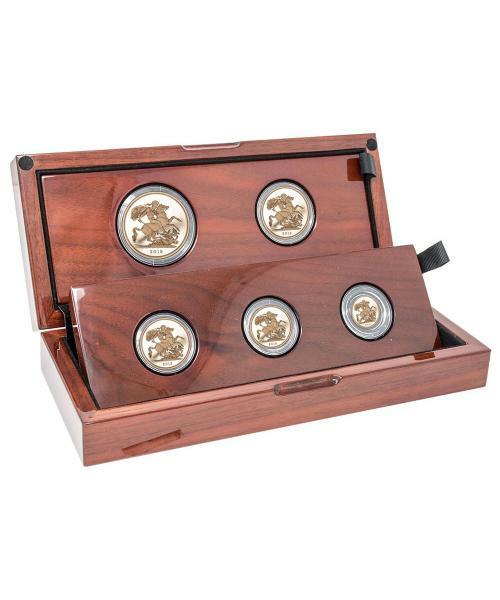 We stock a large selection of gold proof coin sets that make a great addition to any old coin collection. All gold proof sets come with COA from The Royal Mint. Delivery is free and insured.